The $620 million project is jointly funded by Australian and State governments ($496 million federally funded and $124 million state funded). It is due to be completed in the second half of 2019. Major access changes to Flinders Drive and Sturt Road from Friday 20 July. Check out the latest photos from the Darlington site. 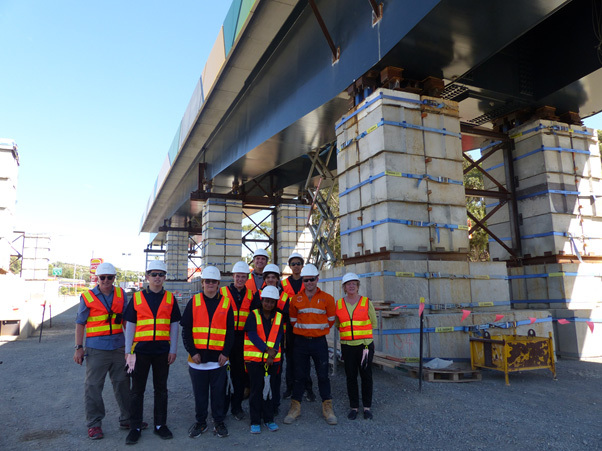 As an Australian-first, the Darlington Upgrade Project’s first major bridge was successfully transported into place using “self-propelled modular transporters”. Installation was completed well ahead of schedule. 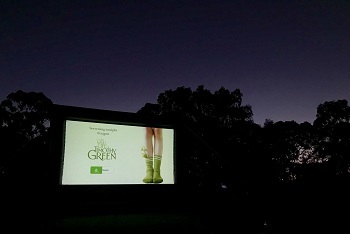 The Darlington Upgrade Project team hosted a community outdoor cinema event at Warriparinga Wetlands as a thank you to the local community and stakeholders for their patience during construction. Around 150 people enjoyed a free sausage sizzle, popcorn and fauna nesting box workshops before the movie kicked off at sundown. After a close-up site tour, Pasadena High and TafeSA Civil Engineering students had the opportunity to hear from engineers and other members of the project team about becoming an engineer, innovation in the construction industry and what it’s like to work on a major infrastructure project. 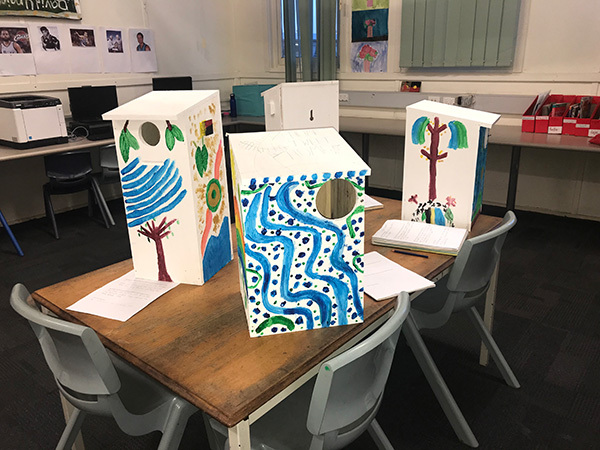 The Darlington upgrade project team has been working with the local community and schools building nesting boxes and creating habitat. 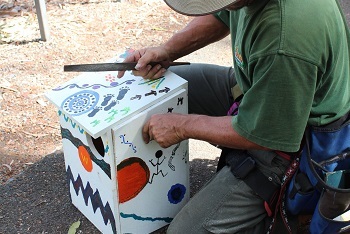 More than 40 nesting boxes will be installed in nature reserves in and around the project area by the end of 2019. Forbes and Brighton Primary Schools have dedicated their time in participating in environment and heritage workshops. Together with the project team, a zoologist and Kaurna Elders, the school’s Year 5 students spent a day learning about the importance of hollow bearing trees in our environment and our indigenous culture. The environmental and heritage workshops promote supplementary initiatives to the traditional approach applied to engagement of environmental issues, and in particular vegetation and habitat impacts. The approach moves away from the sole reliance on offset planting for vegetation removal required for the upgrade of infrastructure, while offering the community an opportunity to get involved and help manage environmental impacts due to development works. Nesting boxes can retain and support existing habitat in urban areas, while offset planting establishes new habitat. Instilling the skills, knowledge and resources within the community, particularly school education programs, promotes the retention and protection of urban habitats for many generations to come. The Department of Planning Transport and Infrastructure and their contractors, delivering important upgrades to South Australia’s infrastructure, have been working in partnership with local governments and the community for many years and have built more than 200 nesting boxes over six council areas, being the Cities of Unley, Marion, Mitcham, Holdfast Bay, Light Regional and Playford. We would like to thank the local community and our stakeholders for your patience and support during construction. As visitors in your community, we are mindful that this is your home and we appreciate your understanding while we work to deliver the Darlington Upgrade project for the wider community. Wherever possible we undertake activities that benefit and involve our local community members. On 13 May 2016, the Australian and South Australian Governments announced funding for the $85 million Flinders Link Project. This project will include extending the existing Tonsley rail line to Flinders Medical Centre, creating new connections to the health precinct and Flinders University.